Tarradale Through Time started the first phase of the project in September 2017 We worked on the Castle Site followed by the Mesolithic Shell Middens. Wet sieving and finds processing took place in October 2017. See our Dig Photo Gallery and Antler Tool Pictures. 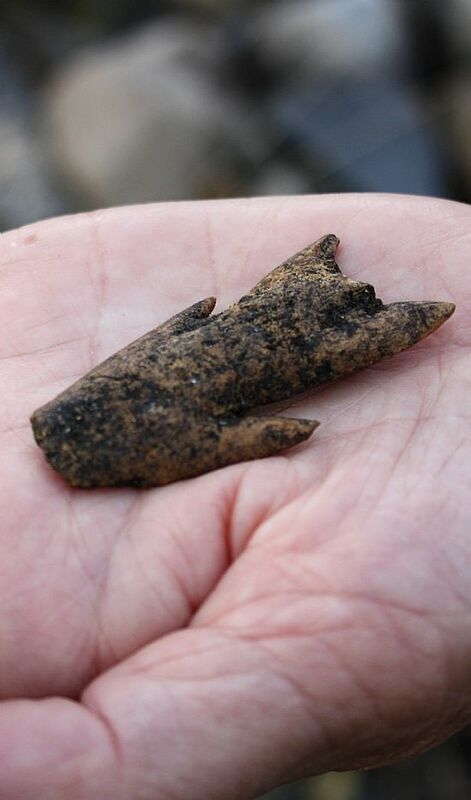 See also our Blog Post with the latest information on the results of the Mesolithic dig as of October 2018. The funding from HLF is on the understanding that Tarradale Through Time is a community archaeological project and we need to involve the local community in our excavation and post excavation work. We are looking for several different kinds of volunteers: Firstly, novice diggers who are keen to get their first experience on an archaeological dig. Secondly, experienced diggers who can work alongside and help less experienced diggers, including complete beginners, who will be given training. 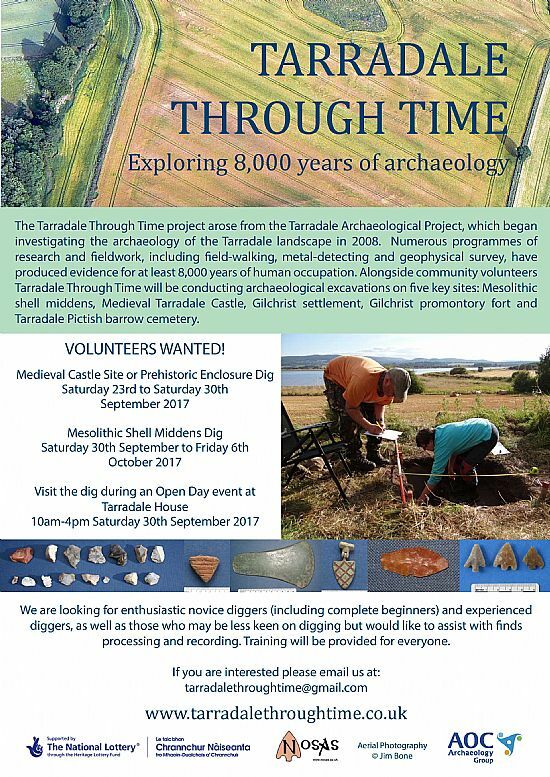 Finally, we are looking for experienced and inexperienced volunteers who may be less keen on digging but are very happy to assist with, and find out more about, finds processing and recording based at Tarradale Gatehouse. Again there will be training for everyone. The finds processors will be required in small numbers during the excavation but more especially afterwards when the post-excavation work will begin. There will be further opportunities for volunteering in 2019. If you are interested please email tarradalethroughtime@gmail.com, indicating if you are interested in digging or finds processing or both.